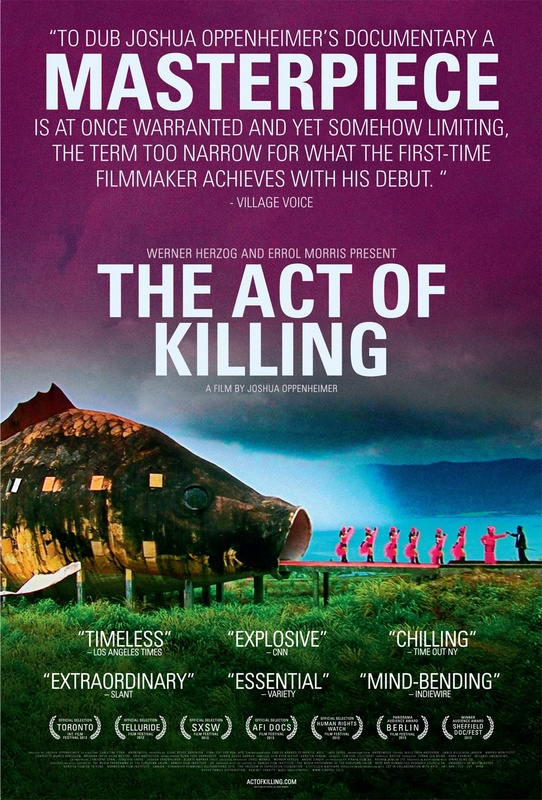 The Act of Killing is a 2012 documentary film directed by Joshua Oppenheimer and co-directed by Christine Cynn and an anonymous Indonesian. The film is about the individuals who participated in the Indonesian killings of 1965�66. It is a Danish-British-Norwegian co-production, presented by Final Cut for Real in Denmark and produced by Signe Byrge Sorensen. The executive producers were Werner Herzog, Errol Morris, Joram ten Brink, and Andre Singer. It is a Docwest project of the University of Westminster. It won the 2013 European Film Award for Best Documentary, the Asia Pacific Screen Award, and was nominated for the Academy Award for Best Documentary Feature at the 86th Academy Awards. 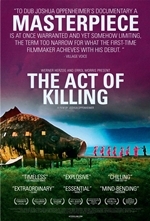 The Act of Killing won best documentary at the 67th BAFTA awards. In accepting the award, Oppenheimer asserted that the United States and the United Kingdom have "collective responsibility" for "participating in and ignoring" the crimes, which was omitted from the video BAFTA posted online. After a screening for US Congress members, Oppenheimer demanded that the US acknowledge its role in the killings. The Indonesian government has responded negatively to the film. Its presidential spokesman on foreign affairs, Teuku Faizasyah, claimed that the film is misleading with respect to its portrayal of Indonesia.